The ladies have spoken, and Scorpion has listened! For far too long, brands have thought that if they make women’s gear, they can just make it in pink or purple and call it a day. Now, don’t get me wrong, there are plenty of women out there that love pink and purple, but I know quite a few who want more options, and for 2015, Scorpion delivers. 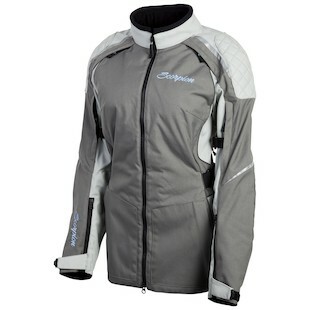 If you’re looking for a 3-4 season multi-use ladies riding jacket, the Scorpion Zion Jacket just might be for you. The Zion has a 500D nylon main body construction with two layers of additional 500D material at the shoulders and elbows, areas prone to higher abrasion. These overlays also feature a quilted stitch pattern, a nice detail if I may say so. Feminine without the frills. The shoulders and elbows also get CE-rated SAS-TEC armor, and a CE Level 2 back protector is available separately. Overall, it has a nice hourglass cut. For additional durability, high stress areas have Exo-Stitch safety seams with heavy bar tacking. To handle the warm weather, the Zion’s 10 vents provide massive ventilation. There are vents on the forearms, biceps, shoulders, the sides of the torso, and at the upper back. When it gets cold, the full sleeve removable Everheat thermal liner with Kwikwick wicking material down the back will keep you warm. When the skies open up and the rain comes, the removable full sleeve H2OBlok waterproof liner will keep you dry. To go with the Zion Jacket, Scorpion has the Scorpion Zion Pants. Like the Zion Jacket, the Zion Pants are constructed of 500D nylon with additional 500D overlays at the knees for additional abrasion resistance. Exo-Stitch safety stitching abounds as well. Impact protection is provided by CE-rated SAS-TEC knee armor. Hip pockets will accept optional SAS-TEC hip armor. Like the jacket, the Zion Pants feature a removable Everheat thermal liner and removable H2OBlok waterproof liner. 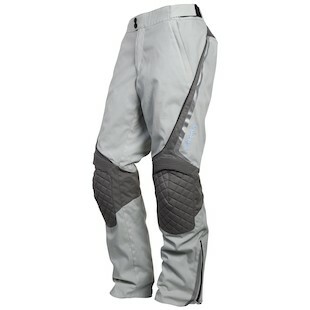 There are thigh vents for warm weather riding and two convenient front hand pockets. For comfort and flexibility, there is a lot of stretch at the knees and the rear yoke at the lower back. There’s also an eight inch connection zipper to attach to a connection zipper in the jacket. There are a lot of new options for women this season, and I applaud Scorpion for adding to the mix. 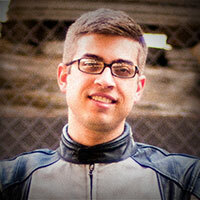 For all-season versatility, the Scorpion Zion Jacket and Pants will keep you comfortable and safe in style.